Melbourne will become the home of Australia’s first AC Hotels by Marriott brand under terms of a new agreement signed today by Marriott International. 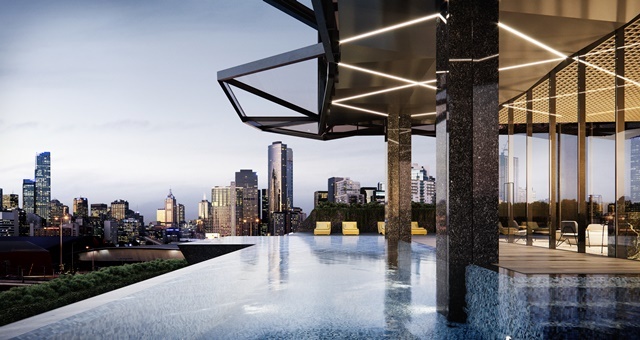 Set to open in 2020, the 200-room hotel will be located in the trendy Southbank precinct and comprise part of the 40-storey ‘Normanby Melbourne’ mixed-use development. Rooms will offer views of the city and Yarra River. Within the upcoming Fisherman Bend enclave, the development will also comprise high-end residential apartments, dining and retail outlets. It is the second project the company has signed with the Capital Alliance development firm, following the Melbourne Marriott Hotel Docklands currently under construction. Marriott’s premium lifestyle brand originated in Spain and has gradually expanded throughout continental Europe, the USA and South America. The brand’s portfolio currently consists of 18 outlets, with a further 17 in the pipeline including Melbourne. A highly collaborative brand catering to the co-working and sharing subculture, the brand’s debut Australian property will feature hallmarks such as the AC Lounge, which fosters hot desking by day and transforms into a contemporary European-style tapas bar at night. Leisure facilities will include an infinity-edge pool covering the building’s breadth, 24-hour fitness centre, three dining outlets and a 150 square metre function and meeting space. Marriott International Area Vice President Australia, New Zealand and Pacific, Sean Hunt, put the brand’s expansion into Australasia as testament to the wider company’s commitment to the region.